Let’s go to the forest and to the meadow. Play, romp around and run. 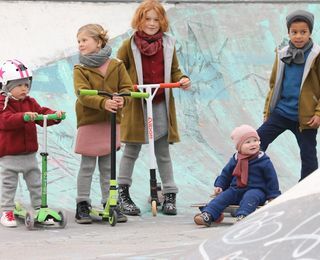 disana children’s fashion is made for outdoor-life. The child-oriented cuts support the children’s urge to move. For a happy playing in the countryside. 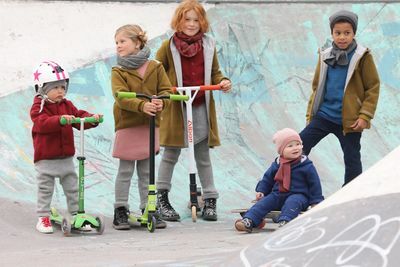 “Nature” includes the colours that match best for outdoor fun. A brilliant blue harmonises well with our grey and anthracite coloured fabrics. Additionally to these, our colour “plum”, an intense purple, gives this colour scheme a sporty character. 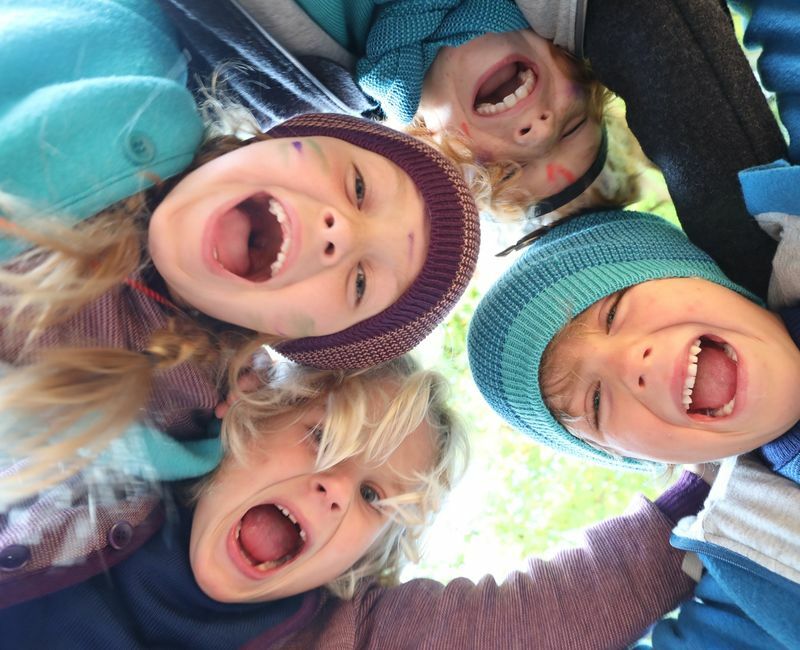 Our brand new colour “lagoon”, a turquoise blue, which belongs to our programme and the colour world “Nature”, supports our collection for fun and play outdoors. 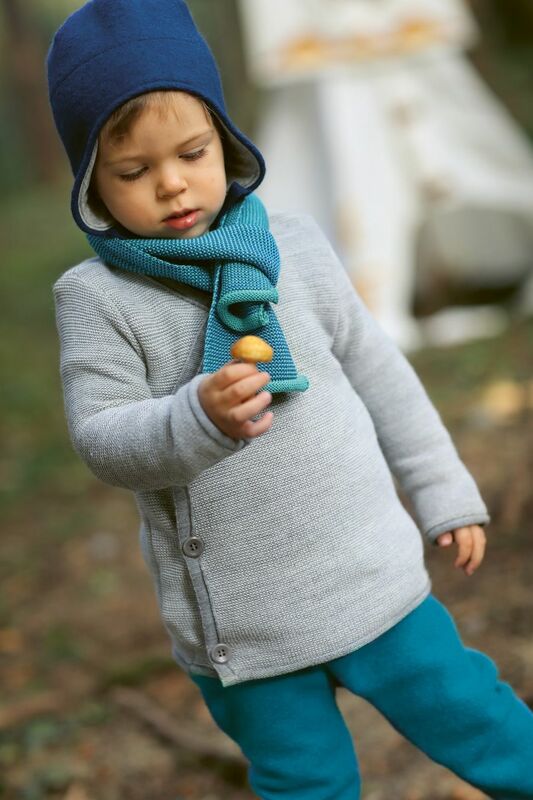 A wonderfully soft jacket made of fine new Merino wool for the very little ones. Thanks to the wrap-around fastening on the front, the jacket can also easily be put on when your child is lying down. Nut buttons on the outside and straps for tying on the inside keep the jacket fastened safely. No button will get in the way when lying on the tummy, crawling or playing. Thanks to the soft purl stitches, the jacket is especially elastic and goes along with any kind of movement. Our knitted melange scarf made of pure new Merino wool comes cozily warm and soft. We are using an additional thread for sewing which makes it softer and warmer compared to other knitted articles. Colourful, curled edges add a special touch. Quickly, our knitted scarf will become the best friend for walks and plays in the wintertime. Size 12 x 100 cm. Made of finely processed boiled wool with great attention to detail. 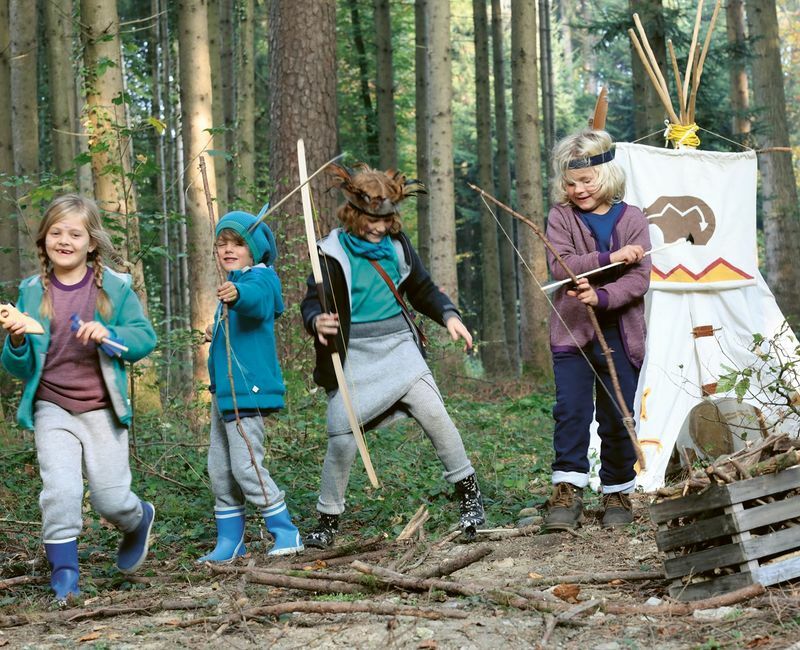 With a large hood matching the children’s head shapes and applied pockets with plenty of room for everything they might need. Large tagua nut buttons help small hands to put on and take off the jacket. The extended back part prevents the jacket from riding up and keeps the children’s back nice and warm when they bend over or crawl along. 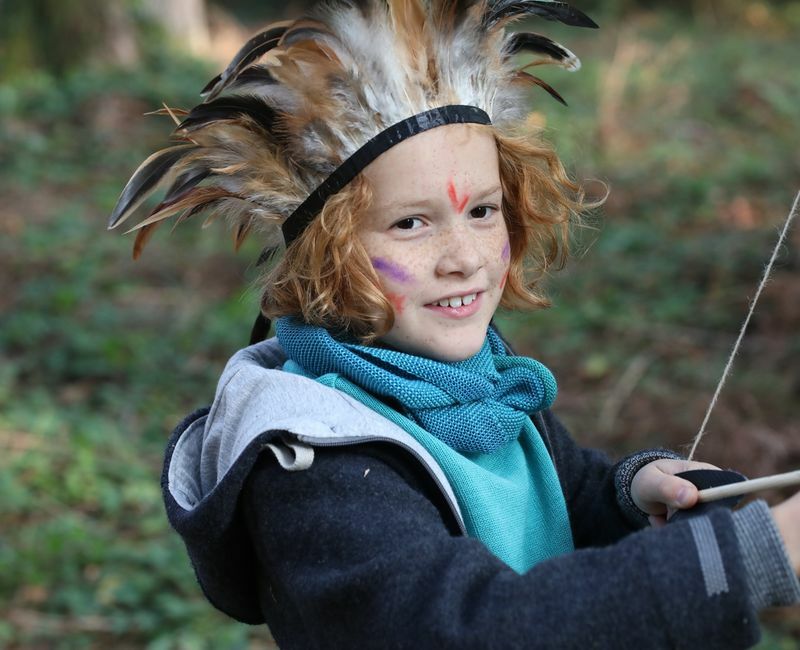 The hood, neck and shoulders are lined with fine organic cotton. A new feature are the fine knitted cuffs that end up gently on the sleeves. The disana trousers for wind and weather. Our boiled wool trousers are designed to be warm and sturdy, yet lovely and soft. 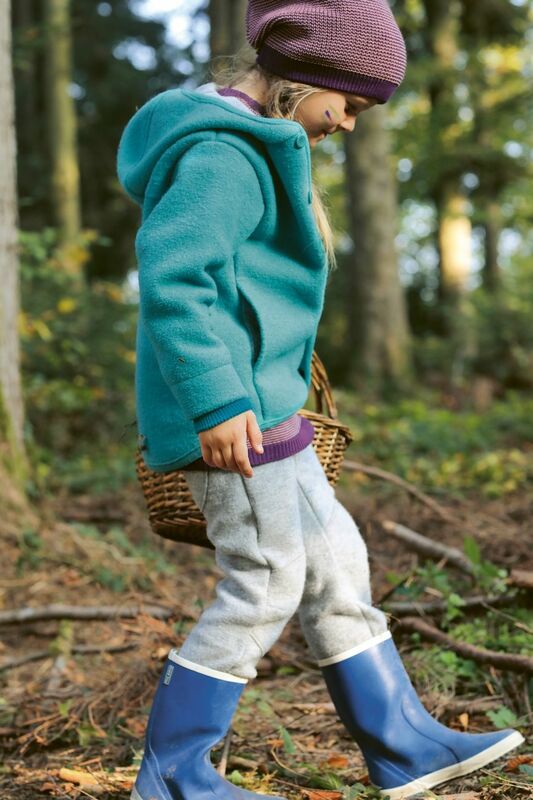 Cut especially high at the waist, they keep your child’s back and tummy warm and cosy. The wide cut leaves plenty of space for a second layer underneath. Two knitted straps ensure that everything stays in place. 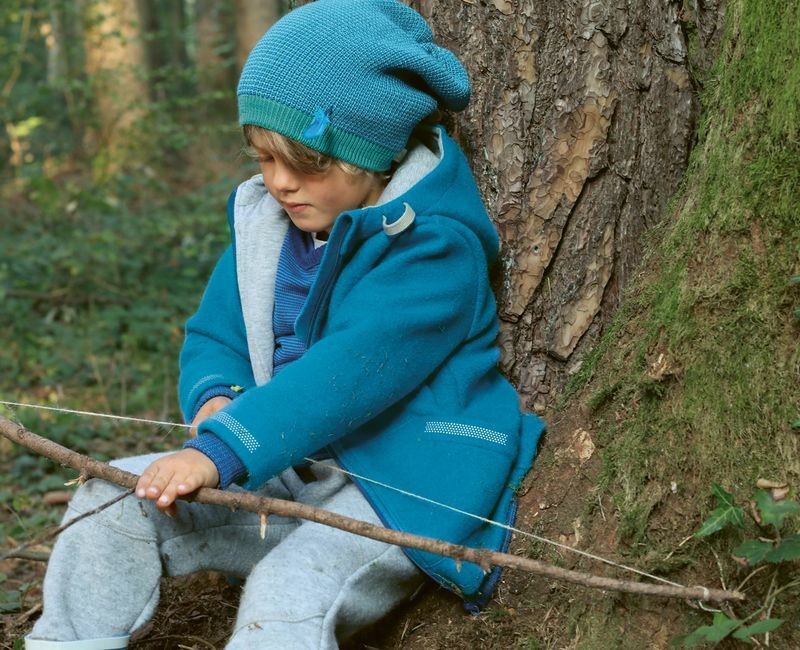 With their reinforced knees, our boiled wool trousers are especially good for playing and discovering outside in nature.